MWENEZI - The Mwenezi Rural District Council (RDC) is making strides to improve the condition of roads and has embarked on a district-wide road resurfacing programme after receiving US$164 400 from Zinara, TellZim News has learnt. The resurfacing work on roads within Rutenga growth point started this week and is expected to spread to other areas. 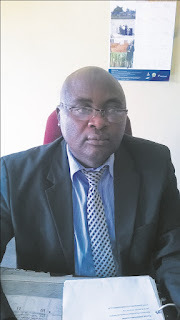 Mwenezi RDC Acting Chief Executive Officer (CEO) Albert Chivanga confirmed the development and said they have contracted three different companies to do the work which is expected to be completed within three months. "We received US$164 400 from Zinara this year. We have started working at Rutenga where 1.2 km of surfacing is expected to be done. "Besides that, the funds received from Zinara will also be used to resurface the TNP and Muchene roads. The idea is to ensure that service delivery reaches the people and we believe that within three months, all the targeted roads will be in good condition," said Chivanga.